Did you ever have a limited connection when you access internet?? For example, you are forbidden to access to specified website, coz your setting already limited by the admin. Or, you want to access a specified Website from other IP address (to hide your own IP address) for your own purpose. Try this! Ultra Surf!, this software can make you browse from other country! SEO Report is an all-in-one solution for a better insight on the SEO (Search engine optimization) world. It gives you comprehensive SEO reports, including monitoring your ranking in search engines, checking your link popularity, suggesting the right popular keywords to use, and more! SEO Report helps you get targeted visitors and increase sales. With it, you'll be able to monitor your competitors, watch Google during updates, stay informed (via rss) about SEO news & articles, and more! 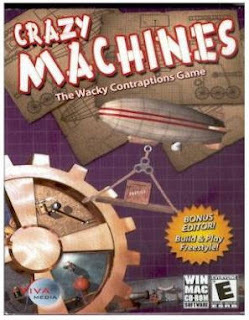 The most Marvelous Software that i found in JANUARY is this Software. Yups, Zoundry Blog Writer. Two Month ago, i post my blog with manual ways. I should log in into www.blogger.com then i write my post. Then, I post my article by Send it via EMAIL (i use blogger). This hepl me so much!!. a Nice Way to posting. Then, it will be trouble when i want to post in WORDPRESS !!. Wordpress could not post by email. Damn!. That's why, i Hate WORDPRESS. Today i Found this Zoundry Blog Writer. It solve all my problems!! 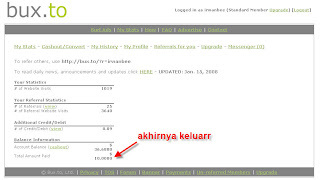 FIRST, this software can handle BLOGGER and WORDPRESS (typad and others i still not try it). SECOND, I can write it OFFLINE!!. Yups !! OFFLINE!! What this mean?? It mean i can write down all my posting in home. Then when all my post finish (for example 10 article) then, when i have connecting to internet, i just UPLOAD it with one single click. EASYYY!! THIRD, When we write article, we can choose what label or category this article is (post with email cannot do this). FOURTH, I can add TAGS ! !, i can add technorati etc. FIVE, i can add LINK and Trackback. Defrag puts is a replacement for the standard Windows defragmenter, that offers a much advanced set of features. It puts fragmented files together and maximizes your system speed and offers five different defragmentation strategies, as well as OneButtonDefrag technology for automatic adjustment of the settings best fitting for your system. The program can defragment drives manually, or fully automatic in the background, keeping your system at peak performance by avoiding build-up of file fragmentation. Defragmentation jobs can also be scheduled, using various criteria. Additional features include status reports, cluster inspector, command line interface, optional MMC integration, boot time defragmentation, special support for mobile systems and more. O&O Defrag 10 is the newest generation of the very successful O&O Defrag. Simply, quickly, and securely, you can get the maximum performance out of your expensive hardware investments - and all this with only a tiny investment of time and energy! The new O&O Defrag 10 Professional Edition for Windows-based workstations unlocks the hidden Performance of your computer. This software will optimize your hard disk in Windows Vista, XP Home, Windows XP Professional and Windows 2000 Professional, securely repacking fragmented files together for more efficiency. 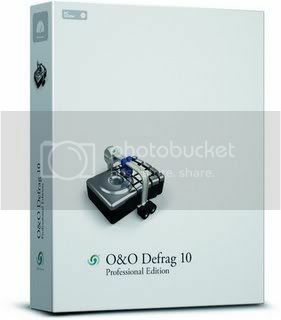 In addition, O&O Defrag 10 Professional Edition boasts outstanding usability and a myriad of important functions not found in any other defragmentation software platforms on the market today. - overhauled the user interface for our new O&O Defrag 10 as well as adapting it to Windows Vista. The new Ribbon Bar makes it easy for you to find functions or settings. Numerous revisions have been made to the already renowned methods and options. For example, the popular "OneButtonDefrag" offers individual setting options for your computer and its intended usage. 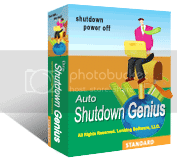 This makes Defragmentation even easier and more effective than ever before..
With Auto Shutdown Genius, you can automatically shutdown, power off, log off, lock workstation, hibernate, stand by or screen save your computers at schedule date and time, when the computer is idle or when excessive CPU usage. Auto Shutdown Genius gives you different ways to schedule the shutdown events, such as daily, weekly, only once, the computer idle and CPU usage. During the shutdown, it can clean up temporary files and recycle bin to improve system performance and protect your privacy. Bux.to has introduced an unique opportunity for its members to multiply their earnings, Bux.to is now offering packages of 500referrals and at a very competitive rate. This package comes with a guarantee of replaced referrals should yours become inactive. The combination of the Premium membership & the 500members set is the ultimate PTC package for high earnings which will mean you no longer need to click the ads*, just sit back and let your referals do the work for you. This offer is available for limited time only, so DO NOT miss out! I'll teach you how to do it! Setelah anda terdaftar di buxto, anda bisa langsung surf ads,..
* Fully compatible with Windows Vista? Image-Line, the company behind Decka- dance, has more than 10 years of expe- rience in writing and managing audio software such as FL Studio. In develo- ping Deckadance, we didn't just bring in some consulting DJs to tell our software engineers what they wanted. Deckadance was written by DJs for DJs, so we are confident that it will take your DJing to the next level. XPize is a resources transformation pack for Windows XP and above. It replaces most of the non-XP icons, AVIs and BMPs that Microsoft has always overlooked. The installer simply automates the process of replacing resources in critical system files, making your XP´s look better. It also includes some extras and an updater which you can use after visiting Windows Update. Icon Genesis - revolutionary and powerful desktop icon management tool for Windows XP that can increase productivity, save time and boost fun by using Icon Groups and "Live!" Interactive & animated 3D icons. Icon Genesis brings revolutionary, and easy to use icon management; and takes advantage of today's high performance PCs by introducing "Live!" Interactive and 3D Animated Icons. Icon Genesis replaces outdated static icons with the next generation "Live!" Icons. Icon Genesis lets icons interact with mouse cursor by with beautiful 3D animations. Icon Genesis is a software that transforms your icons into 3D and animated icons. - Come with 39 3D Animated icons! Default icon, mouse cursor over, & a selected icon. Default icon, mouse cursor over the icon, and selected icon. Express Burn Plus is a program for Windows that lets you create and burn audio CDs, data CDs, video DVDs, data DVDs or data Blu-ray discs under Windows. With Express Burn Plus you can record an audio CD, video DVD or data CD/DVD/Blu-ray quickly and easily by dragging the files you want onto the Express Burn Plus icon and clicking Burn. You can also use Express Burns easy to use interface to navigate to your files and add files or folders as you please. The software does the rest, including converting the files if required. It also has more advanced features like the ability to create and record ISO images and support for many more file formats. Express Burn Plus is also the fastest CD/DVD writing program in the world using proprietary optimizing systems. But don't believe us, try it for yourself. You can download the Express Burn Plus demo or purchase Express Burn Plus online. DVD-ROM drive which supports recording. Blu-ray drive which supports recording. - Newspaper Format: When you select a channel, FeedDemon's tabbed browser displays the channel's news items in a newspaper for easy reading. You can display a newspaper of news items for an entire folder or view one feed at a time. - News Bins: Store news items in a central location and provide a handy way to collect items from different channels. If you find an interesting item that you might want to read again, just store it in a news bin for future reference. 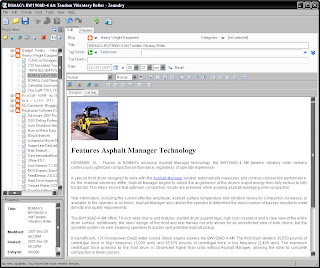 News Bins are synchronized through the NewsGator Online platform, so you can read these items from FeedDemon on other computers as well as other NewsGator readers. - Synchronization: Read a post in FeedDemon and it is marked as read in other NewsGator readers. - Shared Experience: See what news is popular with other NewsGator users and find out who is linking to the news you're reading. - Video: Watch embedded video right within the newspaper view. - Watches: Look for keywords in news items as they're downloaded. After you create a watch, it examines every incoming news item whenever any channel is updated. - News Comes To You: Subscribe to feeds from all over the web or choose some of the dozens of default feeds. - Search: Search outside of FeedDemon's subscriptions by selecting a feed search engine, then enter your keyword, and FeedDemon will subscribe to a dynamic channel containing the search results for that keyword. - Podcasts: Powerful podcasting tools enable you to download audio files and automatically copy them to your iPod or other media player. The bundled FeedStation utility enables you to schedule your downloads so they happen overnight while you're asleep. When you wake up, you'll find new audio waiting on your media player of choice. Standard tools for color correction, rescaling, adding borders etc. 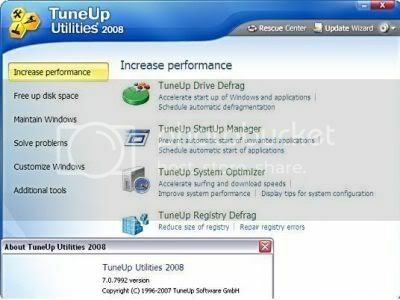 TuneUp Utilities® 2008 optimizes the performance of your computer, corrects problems and helps you to customize your system to suit your needs. It combines important aspects of system configuration, security, cleaning and maintenance under a modern interface. You can remove unnecessary files from your hard disk(s), clean and optimize the registry, tweak your internet connection settings, recover deleted files, optimize memory and more. In addition, you can analyze your system, receive automatic suggestions for potential performance improvements and view detailed hardware information. TuneUp Utilities also includes an Uninstaller, registry Editor, Task Manager and even an Undelete tool to recover files that have been deleted from the recycle bin. A very nice tool, with many features that will appeal to novice as well as advanced users. TuneUp Utilities 2008 makes Windows faster, more secure, and comfortable. All important aspects of system configuration, security, cleaning and maintenance are combined under a modern graphical user interface. Deep Freeze is currently available in two editions for Windows: Standard and Enterprise. Each edition has been designed with features and capabilities to suit the needs of any environment. Mac OS X, Linux, and Windows Server editions are also available. ZeallSoft Magic Mirror is a funny and easy to use photo distorting software. You can distort your friends' or family's faces and produce surreal effects! Have you ever heard the saying "laugh until you weep"? No! Don't worry, get Magic Mirror and try a face warp. It's an entertainment package. Whether yours is a group of friend or children, whether you opt for a face warp or warp picture, Magic Mirror will generate a laugh a minute. Magic Mirror is packed with laughter generating tools and all the features you will ever need to turn an ordinary image into something extraordinary. Just imagine, if you can, what the changes will be like when you apply the warp face or warp picture facility to someone you know or an image around you. *Warping or Distorting your friend or family face. 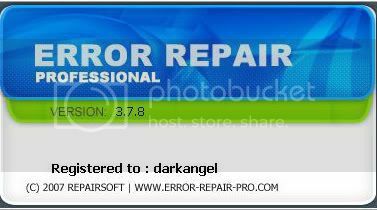 *Professional image editing tools. Include rotate, adjust, crop, resize, zoom tools. *Include 4 image warping tools: pinch, punch, eddy, lens tools. *Easy to use and beautiful interface. *Support 4 kinds of formats including BMP, JPEG, PNG, GIF. Anti Trojan Elite (ATE) is a malware remover, it can detect and clean malware in disk or memory.Anti Trojan Elite provide a real-time malware firewall for user, once a trojan or keylogger would been loaded, the ATE can detect, block and then clean it in time before it starts. The ATE can detect more than 22000 trojans, worms and keyloggers currently, and the number of malware ATE could clean is growing up very quickly, we collect world-wide malwares, user can using our auto live update feature to get the power to clean these new malwares in time.